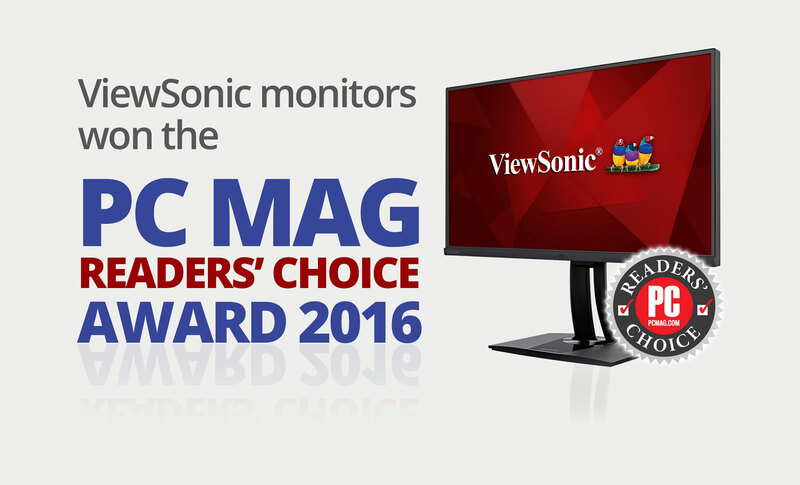 ViewSonic Corp., a leading global provider of visual solution products, announces the company was selected as this year’s PCMag Reader’s Choice Award winner for monitors. In its 28th year, PCMag.com readers were asked to rate products and services they use in overall product satisfaction, picture quality, ease-of-use, likelihood to recommend, and reliability within the past 12 months. ViewSonic swept all categories and easily won the overall award. This year, ViewSonic celebrates our 30th Anniversary and this award makes it even more meaningful. As a leading global supplier of display technologies that combine innovation, reliability and quality in its products our heritage is rooted in delivering excellent performance, functional designs and advanced technologies to our customers.